As the weather heats up, many Australians are looking forward to the sizzling summer months. If you enjoy spending the summers lazing by the pool or cooking up a storm on the barbeque, it may be time to consider updating your outdoor entertainment area. So in this week’s blog, we’ve put together three ways to enhance your existing outdoor area. For the final touches, native Australian plants such as ferns, kangaroo paw or banksia are great additions to any garden and will stand the summer heat. For something a little lower maintenance, succulents also bring colour and personality to a garden, without requiring much attention. 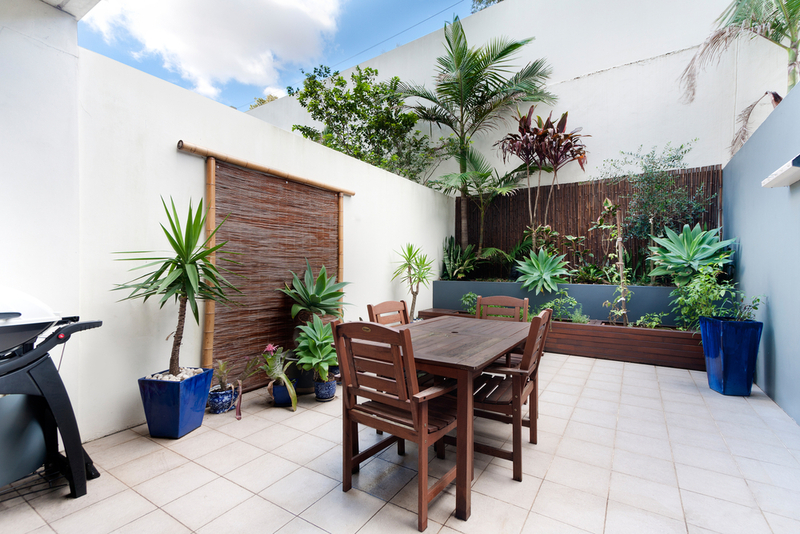 Even though you’re aiming to create an outdoor area that is the epitome of fun, it’s always important to consider the practical side first. Think about how you use your entertainment area- is it mainly for dining? Is it intended to be a play area for children (or adults)? These kinds of questions are integral to making sure your area is functional. For fuss-free flooring, concrete such as exposed aggregate is a great choice, as this can lead onto a grassy area. Umbrellas or shades are also a good option to think about, especially in Australian summer! After determining the basics of what you need, you can get creative. If you’re not looking to spend too much, but need to make your entertainment area more functional, simply add in new furniture that will be able to weather the elements. Think about fold-up chairs or tables that you can store under cover, brightly coloured cushions and easy to clean tablecloths. You may also want to add in some lighting, so that you can continue to enjoy the summer heat after the sun goes down. From fairy lights to lanterns, there’s something to suit every aesthetic and budget. A Better Driveway are your go-to guys for decorative concrete landscaping solutions such as exposed aggregate, coloured and textured concrete driveways. For more information, get in touch today by calling 03 5783 4746.